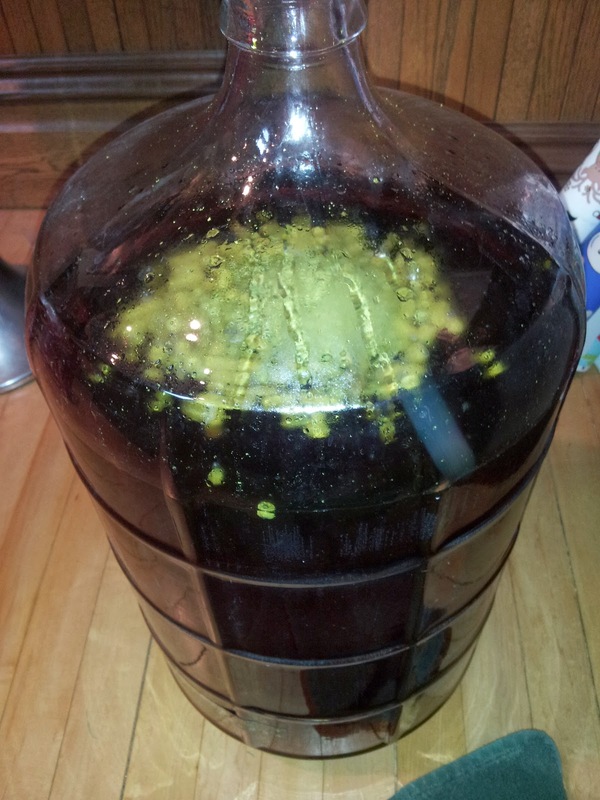 About four weeks ago our Pliny clone went into secondary fermentation. I'm still not sure I get the best fermentation action as I never really see much bubble motion in the lock during any fermentation period. However, I'm sticking with it and yesterday I put in the first Dry Hop - 3.5 ounces of various hops. Here are some photos. 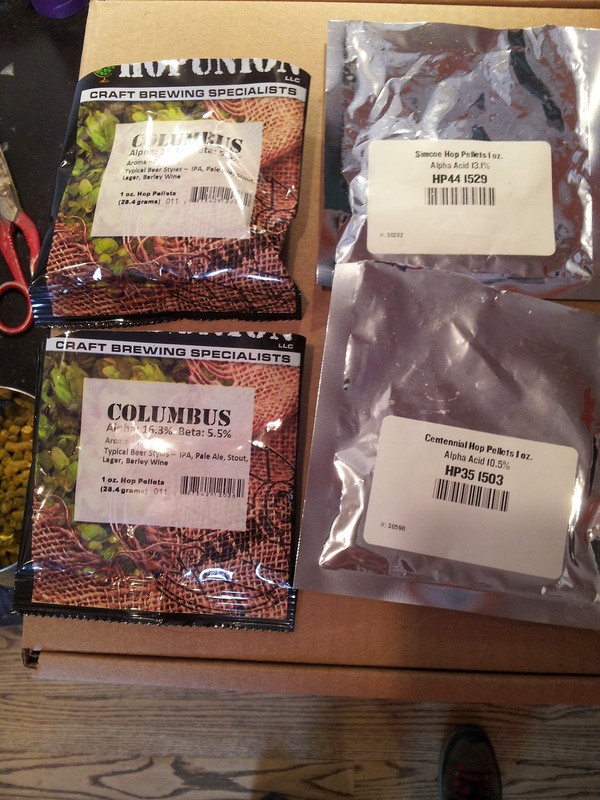 1.5 oz of the Columbus and 1 oz of both Centennial and Simcoe. In about ten days I'll do the next dry hop of another 3 or 4 ozs.